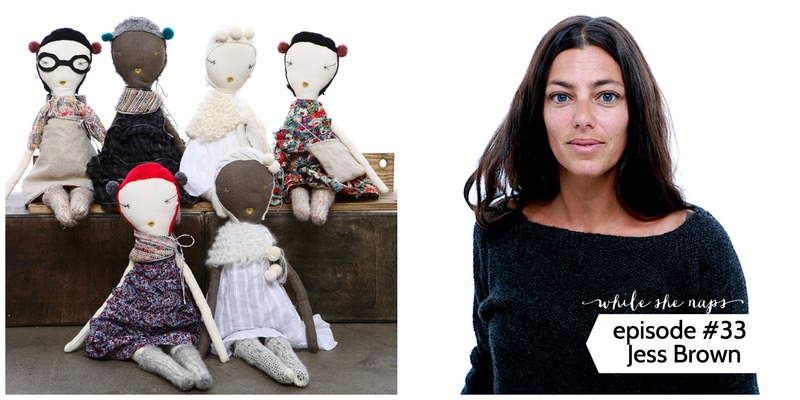 Today on the podcast I’m talking to renowned rag doll maker, Jess Brown. I first encountered Jess’s dolls in the February 2012 issue of Martha Stewart Living. I poured over this article, carefully examining every photo. Since then I’ve seen Jess Brown dolls everywhere. Jess has built her business over the course 16 years. Each doll still is cut to order in her Northern California studio. 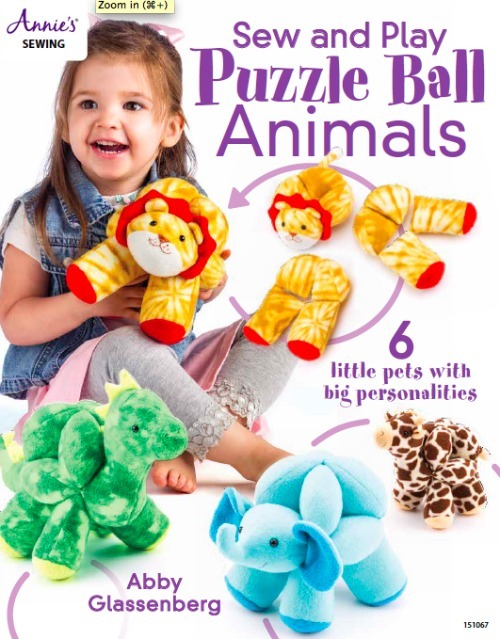 Although originally created for children, the dolls have a simple sophistication that has moved them into the women and lifestyle markets as well. Jess Brown dolls are available in select shops worldwide. Jess lives in Petaluma, California with her children, Stella and Tiger, and her husband, Erio. 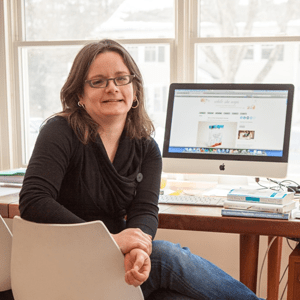 In our chat Jess talks about how the Martha Stewart Living article was a turning point for her business and how she continues to feel its effect. Jess now has a team of six employees and produces several hundred handmade dolls each month. Her dolls have also been featured in two children’s books which were born from this video, Kiki and Coco in Paris. A few years ago she made larger than life versions of her dolls for display at New York Fashion Week. 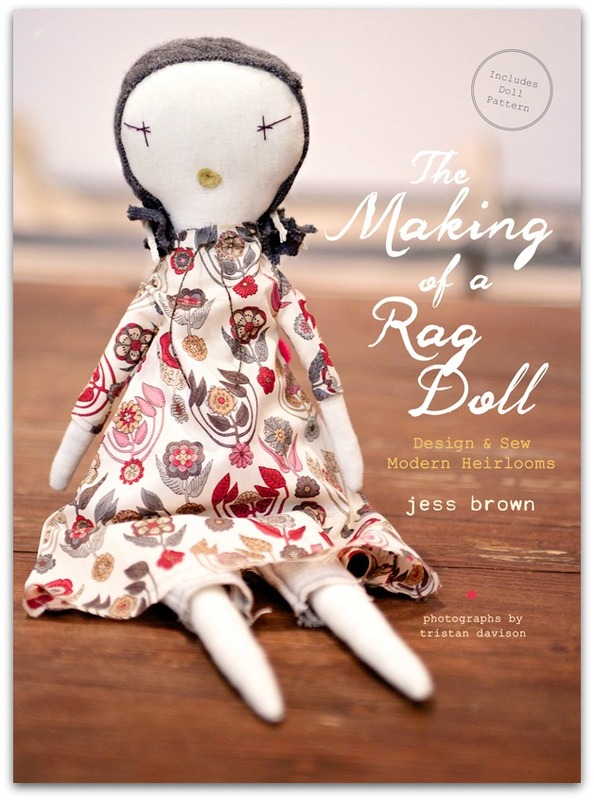 And now Jess has a sewing book out, The Making of a Rag Doll, published by Chronicle Books. This is a beautiful book. Before Jess and I spoke I sewed a doll from her pattern. Here’s the doll I made, dress in knickers and a simple drawstring dress with a cross-body bag. I had so much fun with this. I have tremendous admiration for the doll business Jess has built and feel truly honored that she agreed to share her story with me. Listen to the show right here on the blog by clicking on the arrow below, or subscribe in iTunes or Stitcher and listen on the go. If you’d like to support the show, take a moment to leave a review on iTunes (here’s how) and tell a friend about it. I’ve listened to all your podcasts but this one is a gem. I love it so much! It was very inspiring to listen to Jess Brown story and how she came to be so successful without losing her style and essence. so I’m always very pleased when I see someone having success and actually making a living out of it. Thank you so much! Talking with Jess was a highlight of my podcast thus far, for sure. It was so much fun! I loved this post so much I just went out and bought the book this morning. Thank you! 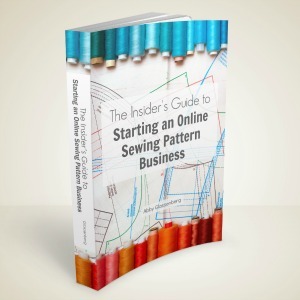 What an inspiring book! So glad you posted about it. I am so pleased to have discovered your website and podcasts. They are both excellent and this podcast with Jess Brown was brilliant. I too will be buying her book. So look forward to hearing other podcasts. Thanks so much for bringing them to us. Thank you so much, Melinda. I know you’ll enjoy Jess’ book. Loved listening to this interview. 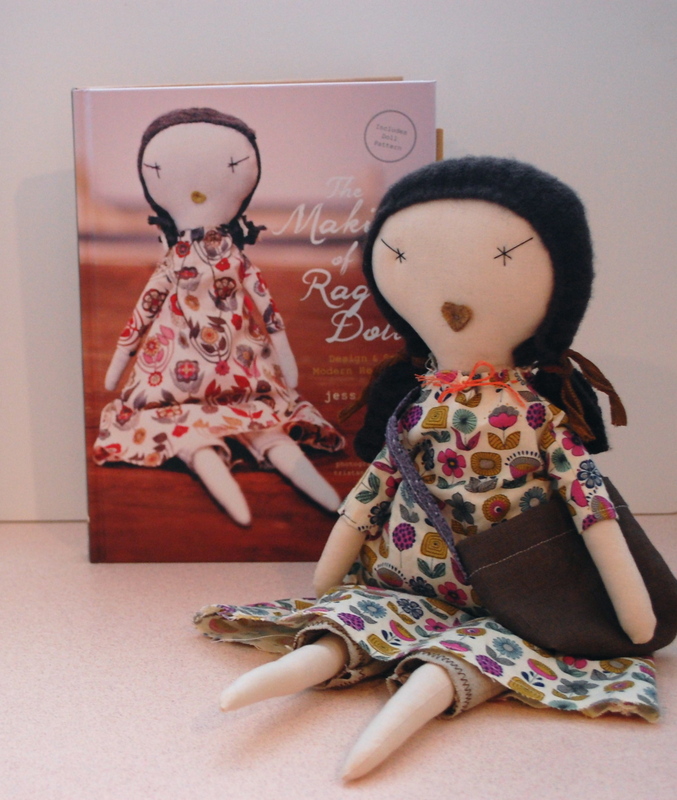 I’ve purchased two of these dolls, the storybooks as well as the Making of a Rag Doll. 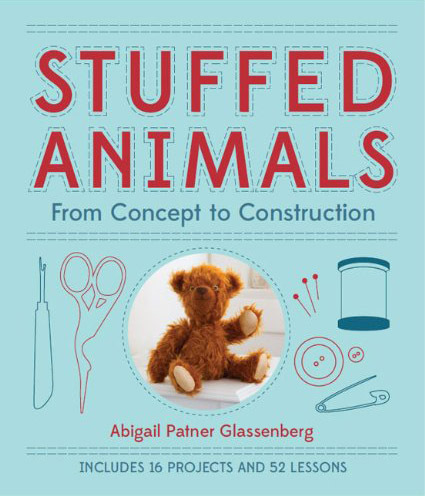 I’m obsessed..I love your discussion about Jess’ ideas for early childhood access to comfort dolls – so beautiful. My own daughter is a year away from graduating in this field and I can’t wait to discuss this concept with her. 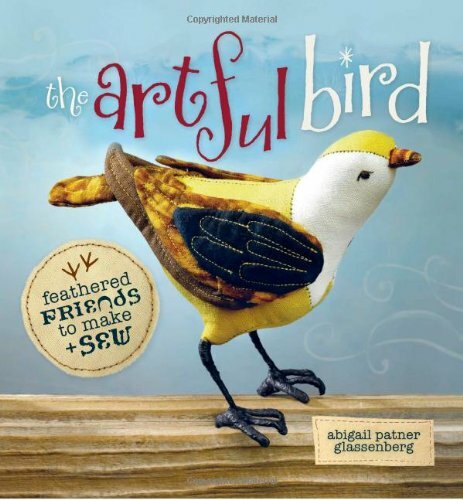 Wouldn’t it be wonderful to have an entire class full of handmade beautiful play things? One can hope and maybe I can help make this idea come to life doll wise once I try Jess’ patterns. Thanks so much this podcast. Thank you so much for listening, Kate!